Europe is a perfect destination for every nature lover. Beachgoer, mountain aficionado, hiker, climber, cyclist, bird watcher - every outdoor aficionado will find lots of stunning places to visit. At first glance, it seems that the most beautiful natural wonders are in the European Alps, but there is so much to discover! Beautiful landscape, friendly people and well-developed tourist infrastructure make Europe number one tourist destination. However, there are so many spectacular places to visit, that it may be difficult to decide where to go. So, let's have a look at the below list of the most beautiful places in Europe suggested by fellow travel bloggers. Those are not only the best summer destinations in Europe - the majority of them can be visited all year round. The Isle of Skye is one of the top destinations in Europe for nature lovers. The scenery is breathtaking on the whole island. We explored the area by campervan, spending each night at a different campsite. One of the most popular landmarks not only on the Isle of Skye but in all of Scotland is the Old Man of Storr. It is normally very busy with tourists, but we were lucky to have the whole place to ourselves, as we went during sunset. This was a great idea, as the 4.5km round trip hike was very peaceful and we had gorgeous views from the top. The Fairy Glen is a less known hidden gem. The area is great to just wander around and explore on your own, without any specific route. We spent around 2 hours there taking pictures and admiring the surroundings. Legend says that there are fairies, who live here. The Fairy Pools is another popular destination for visitors. There is a path along the stream, which is fairly easy to walk, making it a suitable hike for families as well. The water creates waterfalls and little pools along the way. In the summer some people go wild swimming here. If you are in the area don't miss the chance to visit Neist Point, which is one of the most famous lighthouses in Scotland. We spent around 2 hours there exploring the headland. We walked up to An t-Aigeach, which offered amazing views to the lighthouse. The Isle Skye was my favourite on our road trip around Scotland. You can easily spend a week on the island if you love hiking, as there are several trails you can choose from. I think this island is one of the most interesting places to visit in Europe in summer. The weather is very pleasant then and it is a perfect option for those who don't cope well with heat and summer crowds. Montenegro is probably one of the best holiday destinations in Europe for nature lovers. This small country that only got its independence in 2006 after a peaceful referendum has a lot to offer. With its beautiful coastline and lovely old towns it is quickly developing into the Monaco of the Balkans. Most people stick to the old beach towns, but Montenegro is home to five National Parks with stunning mountains where wolves and bears still roam around. Durmitor National Park is one of the best parks to visit. It is easily accessible by public transport and from the small mountain town of Zabljak you can take a variety of hiking trails ranging from easy walks up to glacial lakes to the more difficult paths up to mountain passes. The most famous is The Black Lake that has an easy 4-kilometre trail around the lake trough beautiful pine forests. Other hikes are to the peak of Bobotov Kuk or the edge of the Tara canyon. The nearby Tara canyon is the deepest canyon in Europe and also offers a great rafting experience. I think it is obvious that you can easily spend several days here exploring the area. Zabljak has some good accommodation options. From hostels to cabins and locals renting out a room in their house at an affordable price. Valencia, Spain is one of the most beautiful all year sun destinations. Located on the west coast of Spain it welcomes its visitors with sunny weather where the temperature rarely drops below 20 degrees. Valencia, Spain is a city of contrasts: its cobblestoned medieval city center is juxtaposed with Santiago Calatrava’s futuristic City of Arts and Sciences. For many visitors, these two sights are enough to keep them entranced for days, but in-the-know travelers also leave time to head outside the city center to the Albufera Natural Park, which offers its own tranquil contrast to city life. Albufera Natural Park (typically just called L’Albufera) is a spectacular saltwater lagoon surrounded by sand dunes, forests, rice fields and tiny fishing settlements. It was in these shallow waters that Valencians invented paella, and food products caught and grown around the lagoon still make up an important part of Valencia’s culinary traditions. Enterprising fishermen are happy to take visitors out on their boat for an hour or two. Keep your eyes peeled for eagles, hawks, herons and ibis, and a pair of binoculars will help you spot smaller birds like sandpipers, stilts and warblers. If you’re really lucky, you might even spot some flamingos! As your boat moves through the most shallow waters, you can also watch for toads, lizards and turtle in the waters beneath you. Try to time your return to shore for just before sunset, so that you can join the locals who visit L’Albufera in the evening to watch the sky change color over the lagoon’s waters. Enjoy your last few moments of tranquillity before heading back to the hustle and bustle of the city. The Ring of Kerry is an area of natural beauty found in the southern half of Ireland. It is probably one of the most underrated natural wonders of Europe. 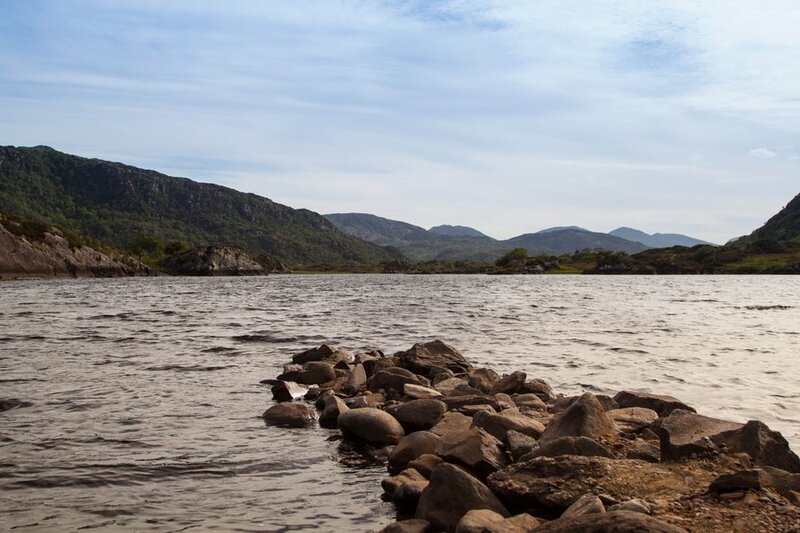 This 179-kilometre tourist trail runs clockwise from Killarney, through Kenmare, Killorglin, Sneem and other quaint villages, until it returns to Killarney. Among the many popular tourist attractions are Ross Castle, a 25th-century tower house and keep, and Muckross Abbey, a 15th-century Franciscan abbey. However, it is the natural beauty of the Ring of Kerry that attracts most of the visitors to the area. From Ladies View you can enjoy panoramic views, while much of the Killarney National Park, the first national park of Ireland, is within the Ring of Kerry. The Killarney National Park was made a UNESCO Biosphere Reserve in 1981 and has a thriving herd of red deer. Torc Waterfall is another beauty spot popular with tourists and hikers alike and there is a public hiking trail from the waterfall up to the top of Torc Mountain. However, one spot which is very popular but should not be missed is the Gap of Dunloe. This 11-kilometre-long road, stretching from Kate Kearney’s Cottage to Lord Brandon’s Cottage, is a narrow, winding road which passes no less than five lakes, connected by the River Loe. It is a difficult road for motorised vehicles and so horse carts are the most popular way to visit the Gap. However, it is an ideal place for a hike or cycle for this with stamina and will delight nature lovers. The Ring of Kerry is a widely diverse natural beauty spot with waterfalls, mountains, rivers, lakes, beaches and much more. It is home to the Kerry Way walking trail which follows the scenic road route, while the cycle path follows older, quieter roads. It is an area of Ireland not to be missed. Aurland is located just a 10-minute drive from Flåm, a very popular location for travellers to Norway. You will find the two villages at the end of the Sognefjord, which is Norway’s longest fjord. Here you have access to fun activities such as kayaking on the fjord, going on a fjord cruise or a FjordSafari, and even Scandinavia’s longest zip line! Aurland and the surrounding area is a must-visit for nature lovers, and you will be able to take in the beautiful scenery in many different ways. Rent a bicycle and cycle down the popular Flåm Valley, or hike down the Aurland Valley. Both trips end by the fjord, offering majestic landscapes and photo-ops. The Stegastein viewpoint gives you panoramic views of the area and is also worth a visit. Having grown up in Aurland, I have seen people travel to the village from all over the world, and know that there is a good reason for it. Amongst all my travel guides to Norway, the ones covering the fjords are the most popular. Aurland truly is a haven for nature lovers, and I highly recommend a visit! In addition to the stunning nature, there are plenty of great places to stay, restaurants with locally sourced food, and fun activities all year round. I consider Aurland, Norway one of the best holiday destinations in Europe! There are some fantastic places for nature lovers in Croatia, but none more so than the staggering Plitvice Lakes National Park. Plitvice is a UNESCO World Heritage Site owing to the unique way the 16 interconnected lakes are formed. A number of rivers meet here running through limestone hills and dropping calcium deposits, moss and algae that have created natural barriers which in turn have formed lakes. The limestone also contributes to the most spectacular element of Plitvice, the azure blue waters. This place truly is one of the most picturesque natural wonders of Europe. There are many kilometres of walking trails that go up into the hills, through waterfalls and caves, and over huge lengths of wooden walkways that have been put in place by the conservation teams. And it's not just the flora and waterways that are of interest, the most famous creatures here are the bears and wolves, though the are not often seen. There have also been over 140 different species of bird recorded within the park. The best time of year to visit has to be autumn. Not only will you benefit from reduced visitor numbers (and prices! ), but you will be lucky enough to witness the Instagram-perfect clash of turquoise waters and autumnal orange trees. A foggy day is just perfect and will transport you into a world that looks like it was plucked from the pages of a Tolkien novel. Whether you come here for a day-trip or manage to find a long weekend to spend in the mountains, a trip to Plitvice will be one of your most memorable in Europe. Dartmoor has an amazing rugged landscape, which has inspired many authors and artists over the years. Sir Arthur Conan Doyle took great inspiration for his world-renowned novel The Hound of the Baskervilles and if you have ever read the story you will understand why Dartmoor is such a fascinating place. The landscape consists of many ancient walking trails, meandering around high moorland tors and into low sweeping valleys. This sort of landscape gives birth to so much wildlife, including foxes, deer, snakes, lizards, wild horses and many species of bird. Dartmoor is a very popular place for birdwatching, one rarity is the Cuckoo which attracts many birdwatchers from all over the UK. Dartmoor can feel quite desolate when exploring areas like the old abandoned clay works at Red Lake, which is located away from any sort of civilisation. This location is one of Dartmoor’s most unique attractions as it contains two small man-made lakes shadowed by a volcano shaped hill. Another interesting location to explore is Bellever Forest, where you can find a beautiful array of flowers during the warmer months and plenty of wildlife, perfect for those that love nature. Bellever is part of the Old Lych Way, where ancient church goers would be required to walk in some cases 12 miles to attend services and bury there dead. Dartmoor has an ancient history and many sights walkers can be 100’s if not 1000’s of years old. Many of the walking trails were made 100’s of years ago for those needing to cross the moors and some of the ruins include iron age villages, mining shafts, abandoned farms and quarries. Dartmoor is certainly somewhere the outdoor adventurer will enjoy and if you love nature, history and walking it is a place you just can’t miss out on. The spectacular Picos de Europa is situated across the three northern Spain provinces of Asturias, Cantabria and Castile and Leon. This verdant park was the first in Spain established in 1918 and was declared a UNESCO Biosphere Reserve in 2002. Many nature lovers consider Picos de Europa National Park as one of the most beautiful places in Europe. This mountainous park has many peaks reaching thousands of meters high. It is dotted with lakes and forests and is crisscrossed by four rivers. This and its proximity to the ocean give it its humid and rainy climate which, in turn, contribute to the dense, lush, green foliage the area is famous for. Picos de Europa is a hiker’s paradise. One trail considered very challenging but worth every step is the Cares River trail, running right through the heart of the national park between the provinces of Asturias and Leon. The trail is very narrow in some parts high above the river which flows along the valley floor. Occasionally the trail goes through small tunnels carved out of the rock and across bridges hanging perilously over the gorges. The majestic mountains soar up on both sides of the trail making for ideal photo opportunities. The abundant wildlife can easily be spotted throughout the trail; eagles, mountain goats and the ubiquitous vultures. There are plenty of other attractions and activities in the park. Many outfitters can be found offering rafting, caving, biking, paragliding, horseback riding, and kayaking. Picos de Europa National Park makes for an ideal spot for a day hike or a stay of several days. It is also a great idea for summer in Europe - the temperature is definitely more pleasant than in southern Spain. Right in the heart of the picturesque Lake District National Park sits the charming town of Ambleside. This national park, in the North West of England, was recently declared a UNESCO world heritage site. It is one of the top destinations in Europe for outdoor lovers, with hundreds of hiking trails and unbelievably beautiful views. The Lake District is home to countless fells, rivers, valleys and lakes, and Ambleside is the perfect base for visiting the area. Ambleside sits right at the top of the biggest lake in England, Windermere. The shores of the lake make for a great day out, with cosy pubs with sprawling lawns, plenty of ducks to feed, and rowing boats available for hire. For the keen hikers, Ambleside is surrounded by fells, from not too strenuous Loughrigg, to the full day hike that is the Fairfield Horseshoe. If you really want to challenge yourself, England's highest peak, Scafell, is not too far away. There are places in town to rent a bicycle if you fancy seeing the surroundings on two wheels. Plenty of scenic cycle routes start from Ambleside. If you are looking for the latest hiking or camping gear, you won't find a bigger selection. The streets of Ambleside are home to many outdoor shops and gear here is of high quality. Just taking a wander in surrounding fields and woods will most likely result in spotting deer, squirrels or birds of prey. The perfect place for nature lovers, there are plenty of things to do in Ambleside. It would be hard to find a destination more suited to nature lovers than Iceland’s south coast. The region is blessed with endless natural wonders that are just begging to be explored. Wherever you go in Iceland waterfalls are a feature and the south coast is no exception. Two particularly fine examples are Seljalandsfoss and Skogafoss, both of which can be seen from the main highway. Don’t just drive past, though – get out of the car and up close to really appreciate the size and power of these thundering falls. At Seljalandsfoss, you can even walk behind the waterfall – but be warned: you will get wet! Further south, near the town of Vik there are more of Mother Nature’s wonders to explore. The black sand beach of Reynisfjara is also home to an interesting basalt cliff face that has been weathered over time by powerful waves. Reynisfjara beach is considered by many travellers as one of the most beautiful beaches in Europe. Take some time to wander around Dyrholaey Peninsula where you can see a 120-metre cliff arch and get great views of the spiky basalt rocks, known as Reynisdrangar Sea Cliffs, emerging from the ocean. If you’re visiting in late June or July, you might also glimpse a puffin or two as this is a nesting ground for the Atlantic sea birds. Perhaps one of the finest of all Iceland’s natural sites is the impressive Jokulsarlon Glacier Lagoon. Floating in the lagoon are large icebergs that have broken off the adjoining Breiðamerkurjökull glacier. Seeing the floating icebergs, which come in every shade of blue, with a huge glacier behind them, is an other-worldly experience. There aren’t many places in the world where you can get this close to icebergs without even leaving dry land. As you can see, Iceland’s south coast offers plenty of opportunities to get outdoors and enjoy some of the most spectacular natural scenery in the world. It is one of the best places to visit in Europe in summer - the south of the continent is just too hot then. Cairngorms National Park, the largest natural park in Scotland, is a stunning and massive gem - charming villages dot the edges of the Park, leaving the rest teeming with trails to walk along pristine streams, mountains to climb or ski, clear lakes to swim in or canoe, and so much more. Be sure to visit Aviemore, a sweet town with plenty of good eats, such as the local fare at the Old Bridge Inn and the Winking Owl. Follow the winding road toward Cairngorm Mountain and stop along the way to visit lochs (especially Loch Morlich), moors, and Britain's only free-roaming herd of reindeer. Arrive early at the Cairngorm Reindeer Centre for a chance to join in on a hike to see the herd and experience the beauty of the hills from a different perspective. Just a bit further up the road, Cairngorm Mountain sits high among the hills, where you can hike, ski, and snowshoe numerous trails. Keep an eye out for Ptarmigans, Grouse, mountain hare, Capercaillie, and a host of other native bird and wildlife species. A fantastic way to end an adventure-packed day is to enjoy some traditional Scottish music at the Cairngorm Hotel right in the heart of Aviemore. Historic sites such as Blair and Balmoral Castles tell a sampling of the histories of the region, while Dark Sky Parks, such as Blairfindy Farm, offer incredible star gazing on a clear night (and if you’re lucky, aurora viewing). Top off your visit with some of the best single malt whisky in the world at Glenlivet. If you’re a nature lover and want to enjoy somewhere off the beaten track, head up to the Cairngorms for an unforgettable time! Italy has many national parks, lakeside and mountain resorts, but for outdoor enthusiasts, there are few destinations better than the region of Umbria. This often overlooked region is bookended by the more popular Tuscany and Marche regions. Italians, however, have an affinity for this region and refer to Umbria as, “The Green Heart of Italy”. For good reason. It is replete with the most beautiful hilltop towns, slopes, and valleys as pastoral as any in the world. There are beautiful bicycle trails, such as the repurposed old train track that leads from Spoleto to Norcia. However, if there is a site that encapsulates what this region is about, it would be the Bosco di San Francesco (the walk of Saint Francis) in the town of Assisi. Assisi has a strong pilgrimage history, and it’s not uncommon to meet people who have been hiking for many days. One can get a taste of this pilgrimage road (no matter what disposition you have religious or otherwise) by starting at the footsteps of the town of Assisi and ascend by foot to the top of a hill, culminating at the entrance of the Basilica named after its most famous son, Saint Francis (who is also the patron saint of Umbria and all of Italy). Somewhere between the starting point and the end, one gets lost in nature while following the footsteps of the beloved saint. The hike isn’t that physically challenging, but one does break a sweat. However, it’s the tranquility and the time to reflect that may be the greatest test. To me, it’s a unique hike and the plateaus reached is less physical and more spiritual. Saas-Fee Switzerland is a nature lover’s playground both in summer and winter. Saas-Fee is located in the Valais region of Switzerland, close to its border with Italy. In winter Saas-Fee is a top Swiss ski resort with eighteen 4,000 meter peaks. Other outdoor winter activities include ice climbing, snowshoeing, sledging, and winter hiking. The unique thing about Saas-Fee is that you can even ski on the glaciers in summer. In summer, below the glaciers, the mountains become meccas of hiking trails. There are many outdoorsy things to do in Saas-Fee in summer besides hiking. One of the most exciting things to do outdoors is the Gorge-Alpine Via Ferrata, which involves negotiating the sides of a gorge using a fixed cable and iron pegs, ladders, wood planks, suspended bridges, and zip lines. The Gorge-Alpine Via Ferrata can be visited in the winter too, but only the lower half. Other fun activities in Saas-Fee include feeding marmots, riding a toboggan, and walking through an ice pavilion within a glacier. It doesn't really matter if I get asked once or a thousand times, I will continue proclaiming the beauty of Galicia against all odds. Or how they say, against the wind and the tide. One thing is true, the weather of this region on the northwest coast of the Iberian Peninsula is not exactly the perfect Mediterranean climate for which Spain is known worldwide. And I hope it stays that way for a long time. Because only with abundant rain, my land will continue to be green. And its cobblestone streets will shine as they have always done, lighting the way for pilgrims who arrive from all over the world since the middle ages. With its estuaries, cliffs and beaches that produce the best seafood in the world, steep canyons where our ancestors learned to cultivate the land with difficulty, turning the slopes into terraces; a few well-sized cities that are the perfect match to the natural side of the destination, and many other gems to uncover; the best is that you come, visit Galician landscapes, and see for yourself. Paklenica National Park, "where the mountain touches the Sea" ideal for the outdoor enthusiast. Croatia is a popular travel destination for its fantastic beaches (there are some of the most beautiful beaches in Europe! ), old towns and National Parks. We loved the beauty of Plitvice Lakes National Park and Krka National Park. But it was our adventurous nature which attracted us to Paklenica National Park, only 47km from the city of Zadar. The Park is situated near the small town of Starigrad-Paklenica and is easily accessible from the main road. It opens at early morning (6 am) for those wanting to explore its canyons and gorges for a full day. As you enter the park, you feel dwarfed by the karst mountains that loom above you on both sides. It’s here you can find seasoned climbers scaling the cliff face. Incredible to watch and happy not to join them. The Park does offer rock climbing for the learner, at the lower levels. Another option is to choose a hike or mountain bike trail up to Marasovic Mill in the old mountain village. The climb is steep in places with a reward of fantastic views from the rocky outcrops. The highlight would be free climbing Anica Kuk - a 712m karst mountain. You get a real adrenaline rush reaching the top with views of the inlet. And if you are not into climbing, then Manita Pec Cave will enthral you with stalactites and stalagmites as well as underground fauna. The Wicklow Mountains National Park in Ireland is home to some of the best hikes in Europe. It’s right next to Dublin, where we live, and it’s a true escape to the wilderness in under an hour’s drive from the city. This beautiful National Park has something for everyone, no matter what the weather, and you don’t have to be an extremely fit, outdoor adventurer to make the most of a day here. Although it contains the highest mountain in the province, Lugnaquilla standing at 925m high, there are also easy tranquil trails and woodland walks to get that breath of fresh air and immersion in nature you’re looking for, without breaking a sweat. If you love hiking, the mountains offer challenging hikes with breathtaking, unspoilt scenery as your reward and, in the summer, there’s nothing like a strenuous climb followed by a refreshing dip in one of the many pristine mountain lakes. It is also the most beautiful part of one of Ireland’s best long-distance hikes - The Wicklow Way, a 127 km waymarked trail from Dublin to Carlow. The route through the mountains takes in fascinating early Christian sites like the 6th Century Monastic Settlement at Glendalough (Valley of The Two Lakes). Our favourite hikes are Djouce Mountain and Seefin Hill because the views are simply stunning. Seefin Hill has a 5,000 year old Neolithic passage tomb at its peak which offers a glimpse into our ancient Gaelic heritage. We absolutely love swimming in Lough Bray and even when it’s icy cold it’s so worth it! One of Ireland’s top scenic drives, through Sally’s Gap, includes fabulous vantage points for overlooking the lovely Lough Dan and the weathered bogs of the Featherbeds. Summer in Europe? Then it has to be Bulgaria! Pirin National Park, Bulgaria is easiest reached from the mountain town of Bansko, Bulgaria’s largest ski resort. Located about 2 hours from Bulgaria’s capital, Sofia the park offers the nature lover superb facilities no matter the time of year. Winter sports activities include skiing, snowboarding, snowshoeing and ice skating. The area truly is a location for all seasons though. Hiking outside of ski season is superfluous, with a series of mountain huts providing accommodation throughout the park and its interconnecting trails. Easier access to Pirin National Park in the summer months, is provided by the Bansko ski gondola which operates to take hikers up to the mid-mountain station to walk further afield, taking in a variety of local peaks and mountain lakes. There are hot spring pools, both wild in the forest and more tamed in the town and there is an active mountain biking community in the area as well as horse-back riding and white water rafting opportunities. Most visitors base themselves in Bansko, which provides multiple accommodation opportunities and fabulous local mehanas (restaurants) for well-cooked fresh food. This area of Bulgaria is known for stunning views, pleasant and uncrowded hiking. Travelers can also visit the local sanctuary for ex-dancing bears and see the work done by the fantastic wildlife organization Four Paws. This is an extremely cost effective place to visit – there’s great food, good accommodation, fabulous scenery and the cheapest skiing in Europe. Schoorl is a town that is home to the highest and broadest dune region of The Netherlands. People usually don't associate nature with The Netherlands. This means that you can walk endless routes without bumping into tourists. This is a great area in the province of Noord-Holland if you want to go for a hike or breathe some fresh air. Or if you simply want to enjoy the beautiful nature this part of The Netherlands has to offer. The dunes of Schoorl are a perfect day trip from Alkmaar. You will walk dune after dune while ending on the highest dune of The Netherlands or at the North Sea. If you're into visiting The Netherlands beyond the crowds then going to Schoorl is a great idea. Whether you want to take in the fresh air or enjoy the sounds of birds. Or if you want to hear the wind go through the trees, or want to go for a relaxing walk, the dunes of Schoorl are the place to be. There are plenty of things you can do in the dunes of Schoorl. You can go mountain biking, cycling, walking or even go running in the area of the dunes of Schoorl. And then, when you're done with your activities you can go to the beach, go for a swim and enjoy a beautiful sunset in the North Sea. Switzerland is a country that needs no introduction. Located in the heart of the Alps, this little country offers amazing landscapes for all kind of nature lovers. Yet, there is a region which needs special attention: the Canton du Valais. The unique location of this Canton will allow you to enjoy some of the best views of the Mont Blanc Massif, the Grand Combin and the iconic Matterhorn. The best way to visit and explore this beautiful region is by completing the world-renowned Haute Route Trek. The Haute Route circuit, which can be completed in about 13 days, will take you along massive peaks, beautiful glaciers, crystal-clear lakes, and traditional villages. It traverses below the summits of some of the highest peaks in the Alps and crosses several 2,800 meter high passes. You don’t need to bring any camping gear or extra food. One of the best things about the Haute Route is that you can stay in hotels and mountain huts along the entire trail. You should definitely be in good shape, though. Be ready to hike for about 5-8 hours a day, cross several high passes, walk over rugged terrains and climb some steep hills. If you complete the entire circuit, you’ll understand why it is considered one of the most scenic routes on the planet! If you love mountains and are looking for best summer destinations in Europe, think no more - visit Canton du Valais is Swiss Alps.